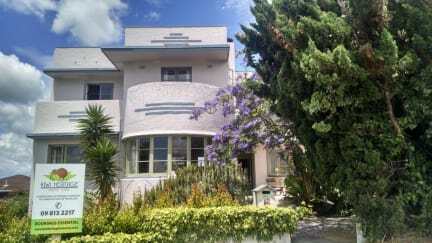 Welcome to my heritage listed Art Deco home in Glen Eden, West Auckland that is central to the Wild West Coast beaches, Waitakere hiking tracks, the Auckland CBD and beyond. 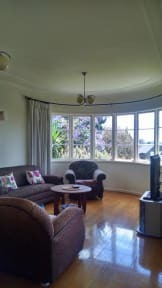 I am offering a relaxed home environment away from the busy city where you can plan your travels around New Zealand, or for the return home. Also ideal for guests attending Weddings/functions, business people, visiting friends and relatives in West Auckland/Waitakere area. Public transport (buses, trains), large supermarket and organic shops (grocer and butcher) are all just a short walk away. The lounge, kitchen and dining areas of the house are shared. Open fires on cold Winter evenings. Each bedroom has excellent beds/bedding, heaters in Winter, TV with remote. Bathrooms are also shared. Easy access to Mt Eden Rugby Park by train (Glen Eden to Kingsland stop). There is self help continental breakfast available which includes my home made muesli. Guests also welcome to help themselves to tea and coffee anytime.